Appropriate and timely intervention is crucial. Primary angle-closure glaucoma is the most common form of glaucoma worldwide and the leading cause of irreversible bilateral blindness. 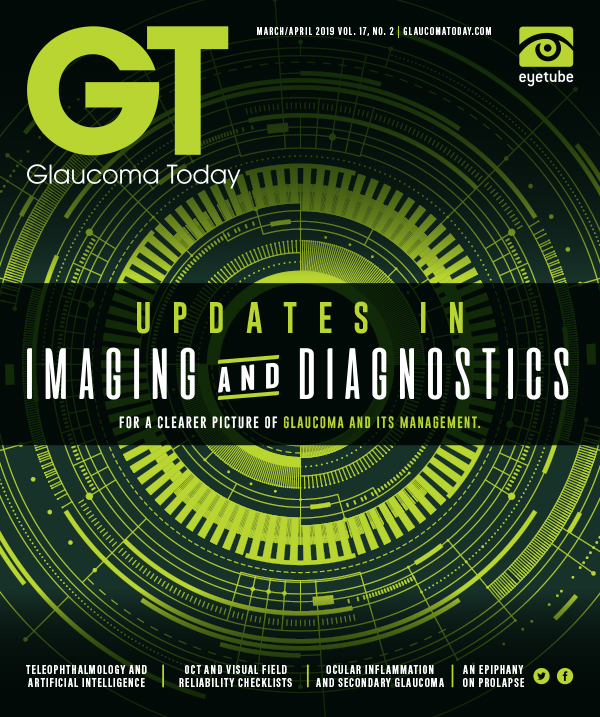 Management of angle-closure glaucoma presents diagnostic and therapeutic challenges to clinicians. It is important to understand the full spectrum of the disease with the underlying anatomic changes and pathophysiology and to discern the role of various interventions at different stages of the disease to optimize outcomes and minimize complications. In this article, Dr. Krishnan reviews the current terminology across this complex disease entity and discusses the role of laser iridotomy, trabeculectomy, goniosynechialysis, and cataract extraction. Angle-closure glaucoma can be a devastating disease. In the acute form, permanent vision loss can occur within a matter of hours. In the chronic form, a slow, inexorable rise in IOP leads to compromise of trabecular meshwork function with synechial closure of the drainage angle. As such, appropriate and timely management is crucial. • Although laser peripheral iridotomy reduces the risk of conversion from primary angle closure (PAC) to primary angle-closure glaucoma (PACG), a significant percentage of patients treated with iridotomy alone progress. • In patients with PAC or PACG and visually significant cataract, cataract removal can improve visual acuity and angle anatomy. • Primary angle closure suspects have a low rate of conversion to PAC or PACG, whether these patients undergo an iridotomy or are observed. As the eye ages, iridolenticular contact increases, largely due to an increase in the anteroposterior diameter of the lens. This results in relative pupillary block, causing a forward bowing of the iris and increased iridotrabecular contact, which, over time, leads to trabecular dysfunction and/or iridotrabecular synechiae. The extent of iridotrabecular contact, IOP level, and the status of the optic nerve help differentiate and define the various terms (Table). Management of PAC and PACG has traditionally involved a combination of laser peripheral iridotomy (LPI), pressure-lowering medications, and glaucoma filtration surgery. For PACS in particular, LPI is considered the standard of care. However, lens removal is becoming an increasingly popular option for the management of these conditions. Decision-making becomes more complicated in eyes without visually significant cataracts. A 2013 study by Tham and colleagues10 found that IOP control was similar in PACG patients undergoing clear lens extraction versus trabeculectomy. The trabeculectomy group required fewer medications, but there were also more complications associated with trabeculectomy. The 2016 EAGLE study11 compared clear lens extraction to LPI in patients with PAC and PACG. The investigators found that patients who underwent clear lens extraction required fewer medications, had lower IOP, and needed fewer subsequent interventions. These patients also noted an improvement in their quality of life after cataract extraction, likely related to improvement of their vision. Risks were fairly similar overall. Traditional surgical treatment of PACS, PAC, and PACG includes iridotomy and trabeculectomy. Although useful, these procedures can have serious complications. As such, it is worth considering the role of lens removal in these patients, as this intervention alone can be effective in the management of these conditions. 1. Primary angle closure PPP - 2015. American Academy of Ophthalmology. November 2015. www.aao.org/preferred-practice-pattern/primary-angle-closure-ppp-2015. Accessed January 1, 2018. 2. Moghimi S, Vahedian Z, Fakhraie G, et al. Ocular biometry in the subtypes of angle closure: an anterior segment optical coherence tomography study. Am J Ophthalmol. 2013;155(4):664-673. 3. Aung T, Ang LP, Chan SP, Chew PT. Acute primary angle-closure: long-term intraocular pressure outcome in Asian eyes. Am J Ophthalmol. 2001;131(1):7-12. 4. Husain R, Gazzard G, et al. Initial management of acute primary angle closure: a randomized trial comparing phacoemulsification with laser peripheral iridotomy. Ophthalmology. 2012;119(11):2274-2281. 5. Jiang Y, Chang DS, Zhu H, et al. Longitudinal changes of angle configuration in primary angle-closure suspects: the Zhongshan Angle-Closure Prevention Trial. Ophthalmology. 2014;121:1699-1705. 6. Srinivasan K, Zebardast N, Krishnamurthy P, et al. Comparison of new visual disturbances after superior versus nasal/temporal laser peripheral iridotomy: a prospective randomized clinical trial. Ophthalmology. 2018;125(3):345-351. 7. He M, Jiang Y, Huang S, et al. Laser peripheral iridotomy for the prevention of angle closure: a single-centre, randomised controlled trial [published online March 13, 2019]. Lancet. doi:10.1016/S0140-6736(18)32607-2. 8. Tham CC, Kwon YY, Leung DY, et al. Phacoemulsification versus combined phacotrabeculectomy in medically uncontrolled chronic angle closure glaucoma with cataracts. Ophthalmology. 2009;116(4):725-731. 9. Lai J, Tham C, Chan JC. The clinical outcomes of cataract extraction by phacoemulsification in eyes with primary angle-closure glaucoma (PACG) and co-existing cataract: a prospective case series. J Glaucoma. 2006;15(1):47-52. 10. Tham CC, Kwong YY, Baig N, et al. Phacoemulsification versus trabeculectomy in medically uncontrolled chronic angle-closure glaucoma without cataract. Ophthalmology. 2013;120(1):62-67. 11. Azuara-Blanco A, Burr J, Ramsay C, et al. Effectiveness of early lens extraction for the treatment of angle-closure glaucoma (EAGLE): a randomised controlled trial. Lancet. 2016;388(10052):1389-1397. 12. Rodrigues IA, Alaghband P, Beltran Agullo L, et al. Aqueous outflow facility after phacoemulsification with or without goniosynechialysis in primary angle closure: a randomised controlled study. Br J Ophthalmol. 2017;101(7):879-885. 13. Zhang H, Tang G, Liu J. Effects of phacoemulsification combined with goniosynechialysis on primary angle-closure glaucoma. J Glaucoma. 2016;25:e499-e503.